The Proxxon Micromot Rotary Tools are lightweight with high precision in a pen style design providing comfortable handling and optimal control. Designed with a specially balanced permanent magnet motor this tool runs very smooth over extended use under various load conditions. They are ideal for model builders, woodcarvers, and artists. The tool requires the use of as 12V transformer (sold seperately). For power supply we recommend Proxxon's MICROMOT transformer NG 2/S or NG 5/E. The DEWALT DC550B 18-Volt Cordless Cut-Out Tool is great for cutting holes in a number of different materials. Its tool-free bit change system allows you to make faster bit changes. This tool's cordless design helps maximize its portability. For added durability, the tool features a dust-sealed switch. The DEWALT DCS551B Cut-Out tool is ideal for making cuts in ceiling tile, drywall and even plywood. This tool's bright LED illuminates dark work surfaces for accurate cutting. The DCS551B is backed by a DEWALT 3 Year Limited Warranty for added peace of mind. 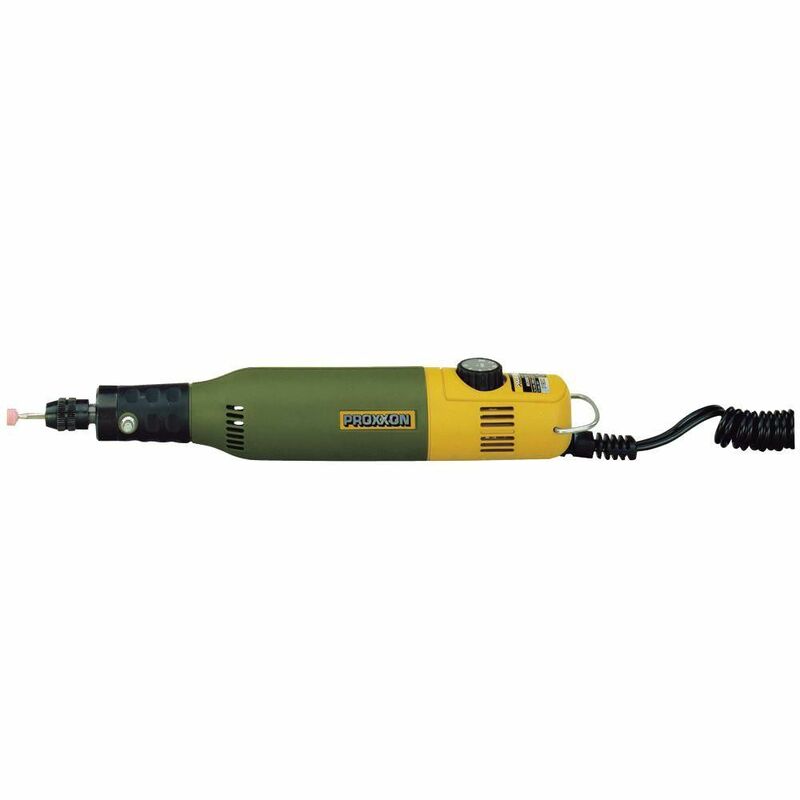 12V Rotary Tool Micromot 50 E (Transformer Sold Separately) The Proxxon Micromot Rotary Tools are lightweight with high precision in a pen style design providing comfortable handling and optimal control. Designed with a specially balanced permanent magnet motor this tool runs very smooth over extended use under various load conditions. They are ideal for model builders, woodcarvers, and artists. The tool requires the use of as 12V transformer (sold seperately). For power supply we recommend Proxxon's MICROMOT transformer NG 2/S or NG 5/E.